9 4. 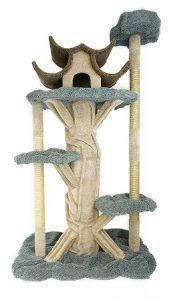 CatTreeKing Empire Cat Tree for Large Cats, 72 in. 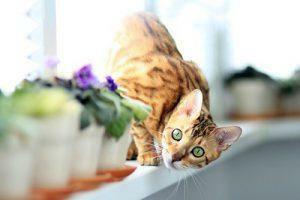 13 Didn’t Find Your Bengal Cat’s FurrEver Tree? 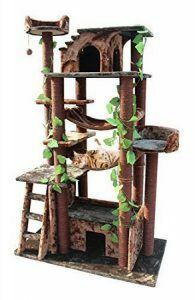 Click here to buy the best cat tree for bengal cats! 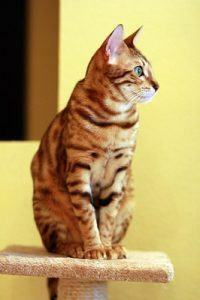 Well, we don’t actually own a Bengal cat, but I think these are great options for other cats as well. I really like the Armarkat Jungle Gym. The upper condo would give our cat a hideout from the dog who is always chasing him from one room to the next. I like the ramps, and toys and it has a pretty high vantage point. Do you know how much this unit weighs? I might need a helper to assemble if there are a lot of heavy parts. Yes, that’s right. Tall cat trees, in general, give cats a nice escape. The Amarmarkat Jungle Gym weighs over 20lbs assembled. Yes, if you need help lifting heavy things you will need to get help with this. An ounce of prevention is better than a pound of cure and I definitely don’t want you injuring yourself or reinjuring old wounds. This is a really detailed article and the top 10 cat trees look amazing. I can see that the trees are a great item to have for Bengal cats. There is certainly enough information on each tree for people to make a decision on which one they may like to purchase. Aww, I have been dreaming of owning a cat but husband is an absolute dog person, so I wonder when will be that special day. I love to look at the cat products. I guess some people have this kind of habit too. For example, my friend loves to shop for baby products. The CATASTROPHICREATIONS DELUXE CAT PLAYPLACE is my favourite. It’s a real no-brainer – it allows your cat to have those high spots to sit while not taking up an awful lot of space. And I can see the potential of installing some Ikea cupboard on the wall alongside it and you may store some books in it! Thanks for your comment and feedback! Actually dogs and cats can get along. 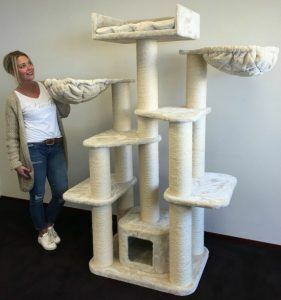 The great thing about these cat trees is that it will also give your cat a real escape from the dog if s/he gets too rough and playful. Bengal cats are so active. My cousin has had a Bengal cat for several years. When she got her she was so small, but now her Bengal cat is much bigger. I really like the “CATASTROPHICREATIONS DELUXE CAT PLAYPLACE” one. It appeals to me because I have a studio apartment. My only concern is will it fall down once the cat starts hopping on it? Are they anchors in the wall? Thanks for your comment and question. 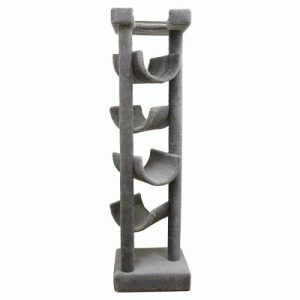 The CatastrophiCreations Deluxe Cat PlayPlace is wall-mounted cat tree BUT it is built sturdily and is designed to handle large cats and large amounts of weight. Bengels are such wonderful cats. They are almost feral. It adds to their mystique. has my interest to a previous question on another one of your posts. Thank you for your dedication to the pretty kitties! Thanks so much and I’m glad you are getting so much value and information from my site! 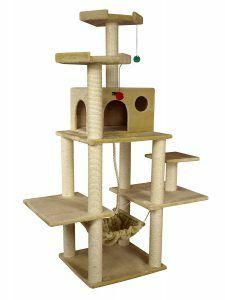 Thanks for the detailed and in-depth post on 10 Best cat trees for Bengal cats. We have a dog in our house and yet to have a cat but our neighbor is having 3 cats. When possible I will share or discuss your post with him. Your top recommendation CatastrophiCreations Deluxe Cat Playplace looks awesome and wall-mounted cat trees saves a lot of space as well. Thanks again for the detailed post and for sure you are saving people time, money and effort. I’m glad you found this post very helpful and informative. 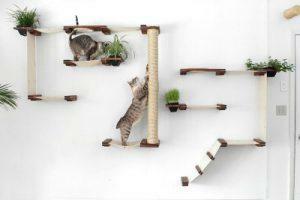 Wall-mounted cat trees are definitely the way to go when you have cats because like you said they save you lots of space but also because it gives your cat the streamlined walkways that they want to have. They’re just about as close as you can get to a real tree! Wow, this is a very detailed article. 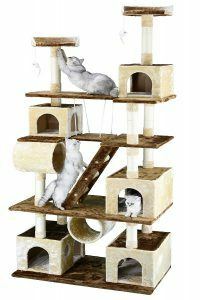 I like your top 10 best cat trees for Bengal cats. I’ve never heard of or seen Bengal cats before. I’ve decided to google it and I found that they have beautiful leopard-like spots, that’s really cool. 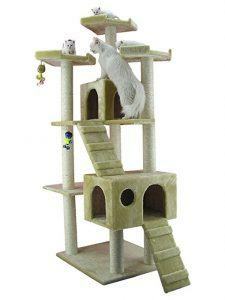 My favorite is the CozyCatFurniture Extra Large Cat Tower Tree activity center. I really like the design of it, especially the plants. This gives the cat tree a very natural environment look. I also have friends that are cat lovers. I think they will also like this article. I will pass this information to them. Thank you so much for putting this article together. I really enjoyed it. Looking forward to your next article. 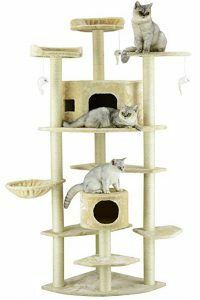 I’m glad that you enjoyed this list of best cat trees for Bengal Cats. They really are gorgeous cats and thanks so much for the referral! 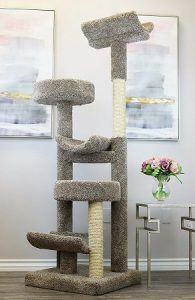 Yes CozyCatFurniture XL is one of my favorites too but of course I’m a CatTreeKing’s girl atw too!